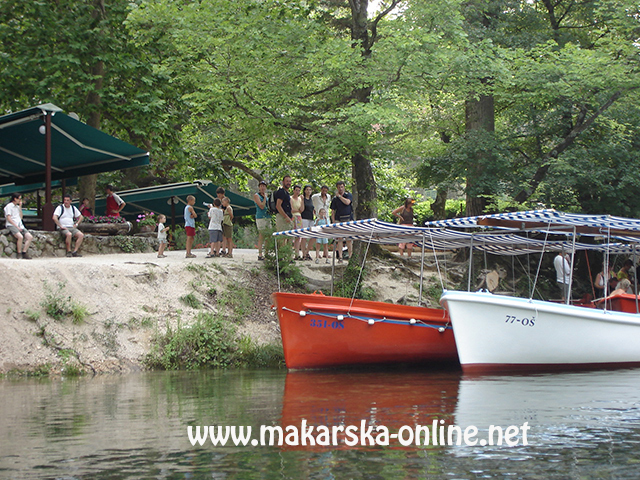 We offer you the possibility of being picked up at the very place of your stay on Makarska Riviera. 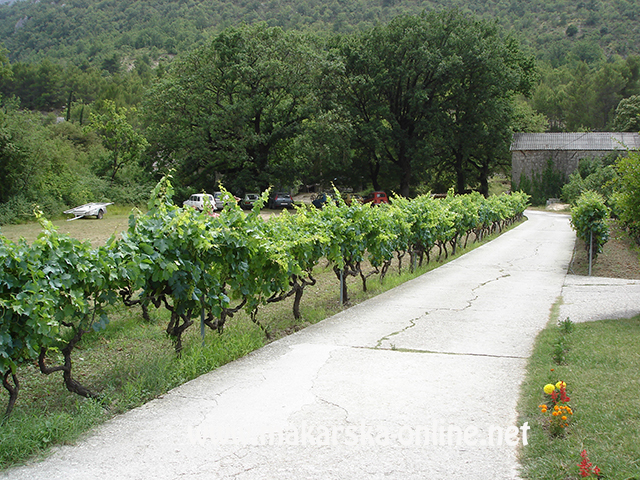 The drive from Makarska by minibus to our starting point in the village of Slime takes cca . 40 minutes, during which you will surely be thrilled by the enchanting view of the Cetina canyon and all the greenness surrounding it. Our drive continues along a number of hairpin - bends overlooking the beautiful green woods which occasionally reveal a glance of the Cetina river canyon. After a pleasant drive through the villages of the Omiš hinterland we finally arrive at the starting point of our rafting adventure. At the very start our guests are welcomed by their kind hosts, offering them drinks, cake, fruit or coffee before the beginning of the adventure... After that, the guests are introduced to their skippers and photographers, and given short instructions (on the basic paddle moves, the code of conduct on the river etc.) before being assigned to their rafts. The first part of the rafting tour is not especially fast, but the river makes up for this with its crystal - clear water abundant in flora and fauna , as well as the exquisite beauty of the surrounding nature. This slower part of the river enables the crew to practice proper paddling movements. Soon afterwards we pass through two tunnels made of tree branches where the crew's coordination and teamwork come to play. A little while later we reach a part of the river which is technically quite demanding, and requires strict obeying of the skipper's orders. The skippers call this part of the river "the labyrinth" . After reaching a small river lake, we stop for 5 - 10 minutes, giving our guests an opportunity to take a swim and cool down in the green and blue water of the river . 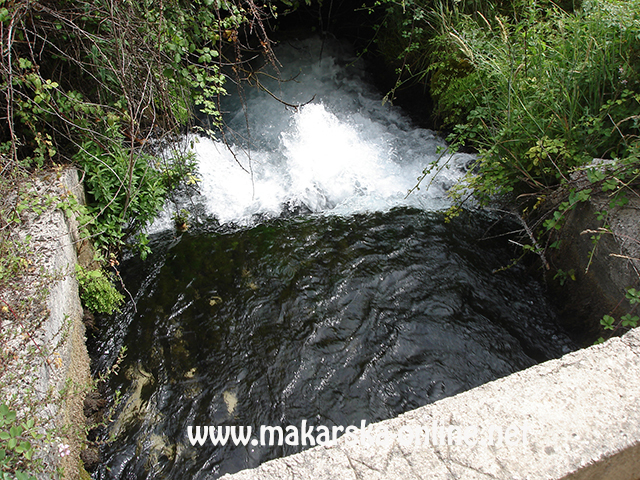 Our next stop is by a small river dam, where tourists can taste pure spring water. From that point on begins the best part of the rafting adventure, which takes us a couple of kilometres downstream. We soon reach one of the most beautiful waterfalls on the Cetina river, the waterfall of "Studenci", where a professional photographer will take a picture of you, which you will later be able to get on CD - together with the photos of the rest of your rafting adventure. Though the "Studenci" waterfall is really something worth seeing, no less impressive are the beautiful, but dangerous rapids of "Oblačnik". At the beginning of the mentioned rapids, all tourists have to leave the rafts and cross some 50 meters of the river bank on foot. After reaching the cliffs from which they will again embark their rafts, they have a chance to watch their skipper shoot the rapids on his own. 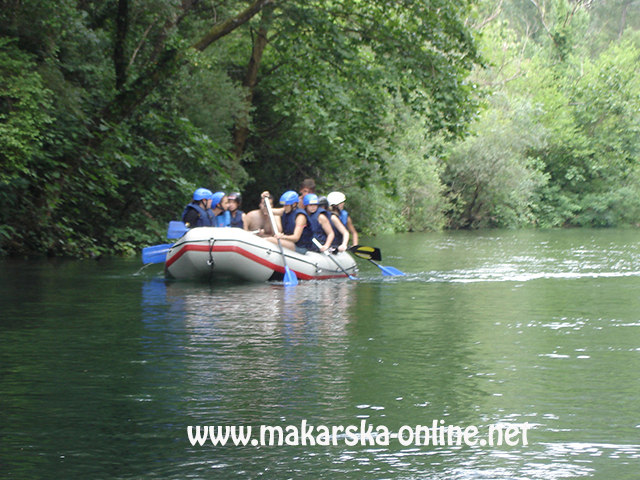 Having conquered the dangerous "Oblačnik" rapids, the skipper ties the raft to a cliff, enabling his guests to re - embark and continue their river adventure. Some 2 - 3 minutes downstream we reach two small waterfalls, and enter one of them with our raft in order to enjoy the interesting play of sunlight and shadow on the lichens under the waterfall. What waits ahead are a number of interesting rapids which lead us to the place skippers refer to as point "Z". "Z" is the place which really gets the adrenalin flowing but it is very important to follow the skipper's instructions here. After arriving at the place called "Tisne stine" , the tourists ar e given an opportunity to prove their jumping skills by jumping into the river from 2 - 5 meters high cliffs., as well as try out a genuine river "Jacuzzi". Not far from here, after passing the next 5 - 6 rapids, we reach the place where the final scenes of th e famous American western movie "Winetou" were filmed. And then, some 25 minutes and a few rapids downstream, we reach the end of our rafting adventure by the excursion and picni c place of Radmanove mlinice. We leave all our equipment (helmets, paddles, life jackets) in the raft, which we then take out of the river together. After the end of our adventure, we will of course return you to the place from which you started. Rafting on the Cetina river is an adventure which lasts some 3 - 4 hours, but is talked about and remembered for years to come (and once you support your story with unbelievable photos, your rafting adventure will be the envy of all). 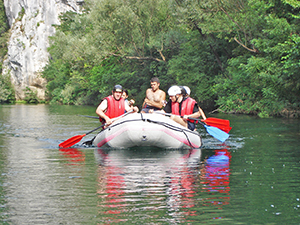 Many of those who are once enchanted with the beauty of the Cetina river and the adrenalin which the rafting adventure produces return to it as soon as they can find the time. 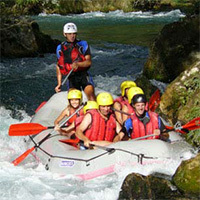 We pick you up early in the morning with minibus which takes you to the start of rafting event .